Remember how a lot of people were all up in arms saying “Only one game ran on a PC at E3! Only one gaaaaaaaaame!” Well, I guess you can make that two games, if you're a diehard fanboy. Crytek confirmed that Ryse: Son of Rome for the Xbox One won't be running the way you saw it at E3. 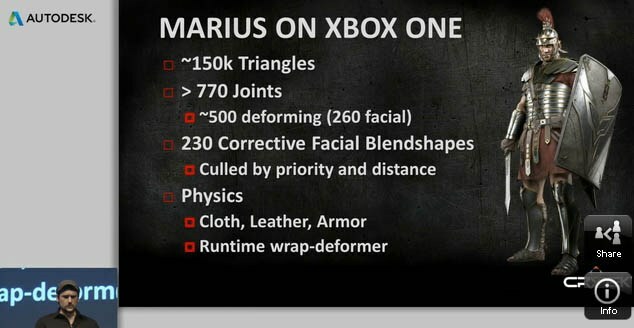 #Ryse Hero Marius 85k polys? It was choice: 150k polys w LODs vs 85K + better shading + no LODs (stable). The latter wo at better quality! So to break this down into English gamers can understand: Yerli is saying that they had to lower the polycount on the characters in order to achieve stable frame rates because at the higher counts the game was unstable. 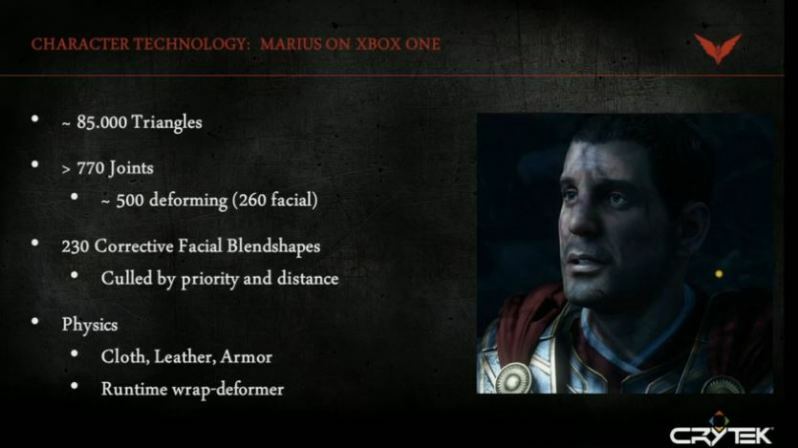 Remember how everyone praised Ryse for its high polycounts during the demonstrations at E3? How everyone praised all the characters on screen and how stable the framerate was? Well, yeah, that's because it obviously wasn't running on an Xbox One. We did a report on the Xbox One games running on Windows 7 PCs with Nvidia GTX 780 cards and a lot of people brushed it off that it was only Lococycle, but it's quite obvious that Ryse was NOT running on actual Xbox One hardware [Editor's note: Crytek does, however, state that the game was running on development kits] if they're just achieving stable framerates by lowering the polygon count of the characters from 150,000 triangles down to 85,000 triangles. This means that the character rendering has nearly been cut in half in order to run at stable frames on the Xbox One. It's now obvious that the smoke and mirrors game is up, and gamers are starting to see what's what. Ryse running at 1080p, 60 frames per second with 150k poly-count characters was basically how the game would look and run on a Windows 7 PC with an Nvidia GTX 780 card. It was mentioned in the article about Xbox One games running on PCs that the biggest worry is that the quality of the games running on those high-end gaming rigs may differ greatly from how the games would actually look and run at launch on the console. Sure enough, the truth has been set free. While this news may not seem that much of a big deal, think about the fact that Ryse has also lost its scaling prestige, being downgraded to 900p as opposed to running at 1080p. So what does this say about the Xbox One? It says that everything running at E3 was obviously not on final hardware and was obviously not representative of the final hardware in anyway. It also tells us that the Xbox One is coming in behind the technological curve in a really, really, really bad way. Nevertheless, Ryse is still an upgrade over anything on the Xbox 360, but by all accounts, it's now obvious that whatever edge the Xbox One had in displaying games at E3 was purely attributed to the help it received by displaying the games at higher resolutions and stable framerates on high-end gaming rigs. Glorious PC Master Race for the win?